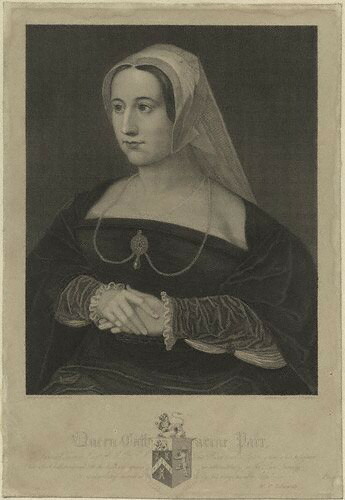 by; after William Camden Edwards; Hans Holbein the Younger,print,early 19th century. Line engraving, early 19th century 12 1/4 in. x 8 3/8 in. (312 mm x 214 mm) paper size. Given by the daughter of compiler William Fleming MD, Mary Elizabeth Stopford, 1931.